Are you experiencing pain somewhere around your foot despite wearing the ideal shoes when it comes to your feet’s size? If yes, you probably need a good pair of insoles. That’s right; sometimes, it is not about the footwear’s size. 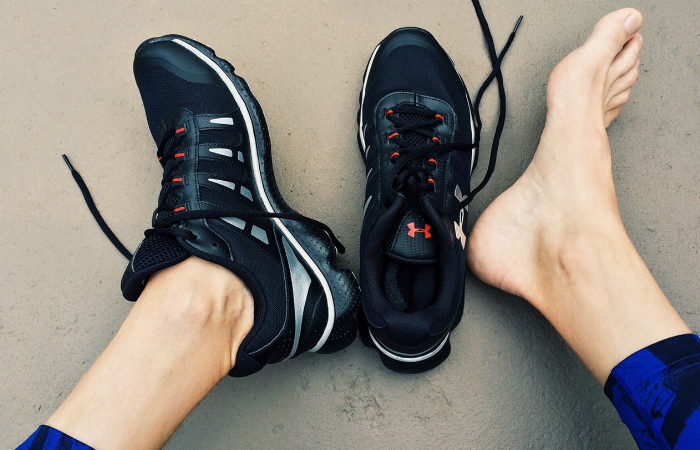 Your feet have a specific form that cannot be supported by some types of shoes. To learn more about these interesting additions to your everyday getup, find out the features of the best insoles in today’s market. 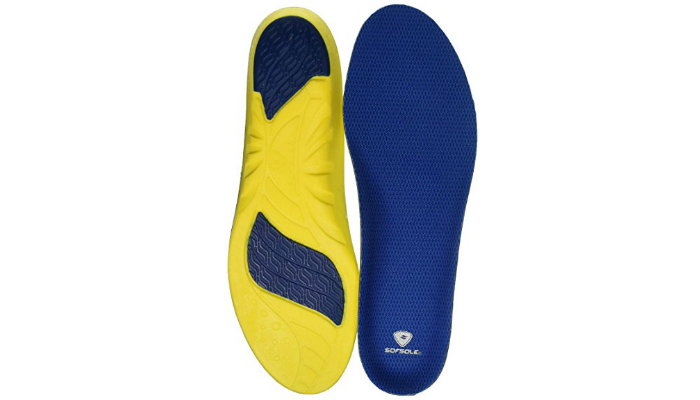 Sofe Sole Athlete Full Length Comfort Neutral Arch Replacement Shoe Insoles/Inserts have a neutral design to fit most people since this type of arch is known as the most common form. As means of cushioning, they have gel pads in the forefoot and heel sections. Regarding comfort, they have a special Hydrologix moisture technology to maintain dry and cool feet. 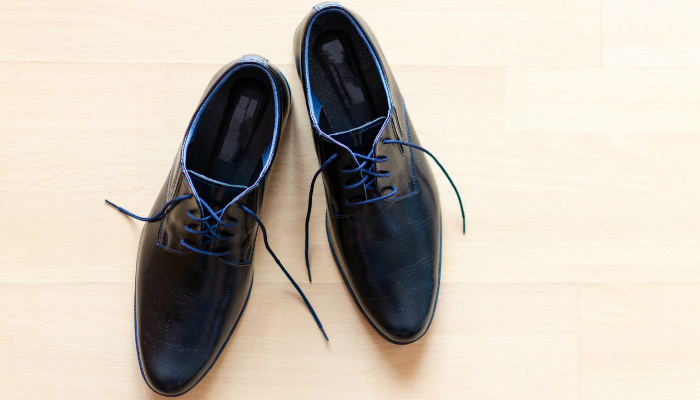 Because of their features, they are ideal for a wide range of footwear types such as hiking shoes, ballet flats, rain boots, and shoes for standing desks. 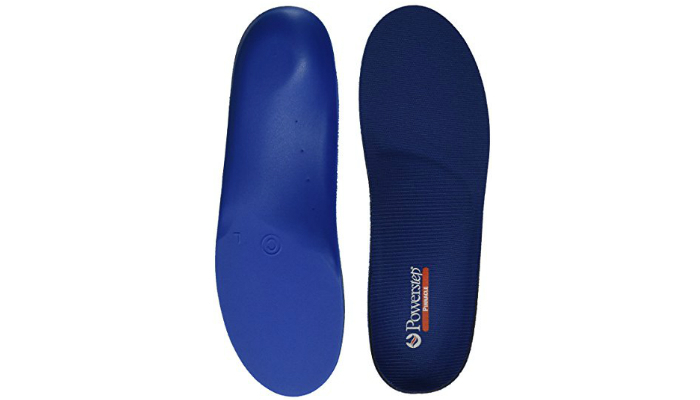 Powerstep Pinnacle Shoe Insole Orthotics are anti-microbial because of their top fabric material. That same fabric also reduces friction and heat during dynamic activities to maintain comfortable, healthy feet. 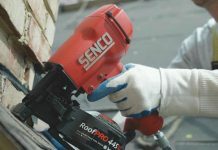 When it comes to their main purpose, these insoles have full medical-grade arch supports that have semi-rigid shells and an encapsulated design to make your feet more flexible. They also have deep heel cradles to keep your heels stable as well as safe from strong impact, especially when you are running. As a great addition to your shoes with thin cushioning, this product’s cushion has two layers for intense comfort. In general, all said features help in relieving and preventing pain caused by plantar fasciitis and other conditions related to your feet. Timberland PRO Men’s Anti-Fatigue Technology Replacement Insoles have unique OrthoLite top layers and an essential anti-fatigue feature. Their anti-odor top cover gives temperature regulation to prevent that annoying moisture around the feet, just like what running socks do. These insoles have a versatile arch type to match with every shape. Additionally, their footbed cradles are anatomically contoured to ensure ultimate support and comfort. 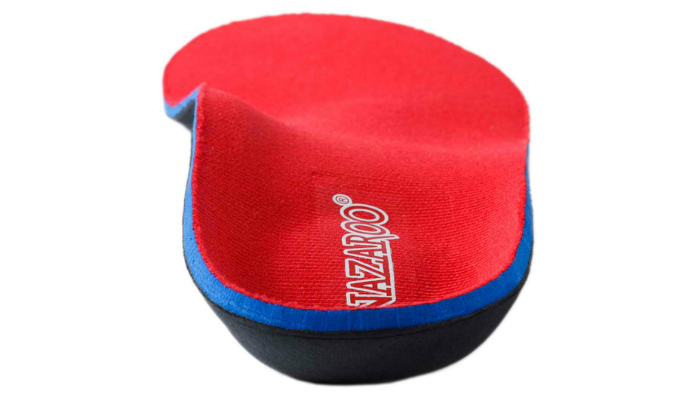 NAZAROO Men and Women Orthotic Flat Feet Insoles relieve over-pronation as well as pain around the arches and ankles. They aim to distribute pressure only in the right places to minimize putting a strain on the feet’s vulnerable areas. They are highly recommended for work boots, dress shoes, and running shoes. 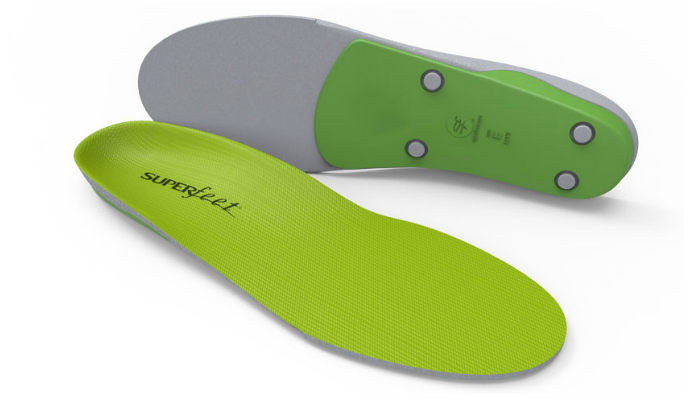 Superfeet GREEN Full Length Insoles have extremely wide heel cups to perfectly protect soft tissue from an impact. They also have stabilizer caps or rear supports to make the foam layer stabler and more pronounced. Spenco Rx Comfort Thin Lightweight Cushioning Orthotic Shoe Insoles protect your feet from blisters by reducing friction and impact. They can be worn over custom orthotics for added comfort and support. Four basic materials are used for insoles: leather, cork, gel, and foam. The leather is a good match with thin socks because of its irresistible texture as a cushion. Meanwhile, cork gives a small amount of cushion yet excellent support. Next, the gel is best for shock absorption. Lastly, the foam is the best option for cushioning your feet. There are more types of insoles but this time, we are focusing on the footbed. The four footbed types represent different arch supports namely flat, cushioned, rigid orthotic and semi-rigid orthotic. Again, flat insoles do not have any arch support. That is why they are called replacement insoles as well. If they are not meant for supporting feet, what is their purpose? Simple: flat insoles can serve as liners for the shoe’s bottom part. They can be replacements for worn-out or low-quality sock liners. They are the thinnest kind of insoles. More about this type, there are also further selections when it comes to materials. Great choices include gel, cotton, wool, leather, and foam. Meanwhile, cushioned insoles have flexible support for foot arches. Hence their alternative term is “arch cushions.” This insole type is a balance between support and cushioning. It is a popular solution for fatigue around the foot. It is also the most ideal for runners, walkers, and people who usually stand all day long. 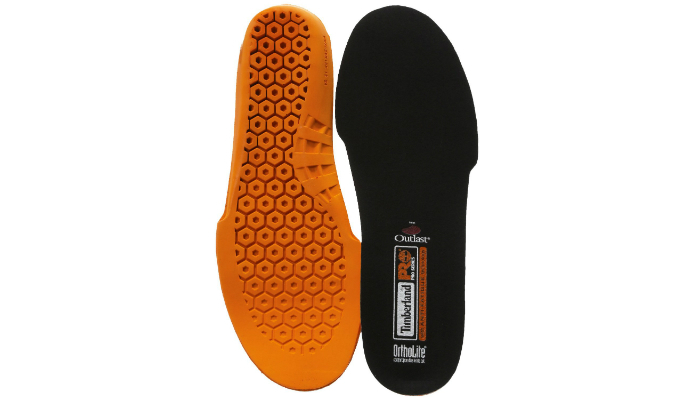 Cushioned arch insoles may also have heel cups to keep you stable. Let’s take it up a notch with orthotic arch supports. 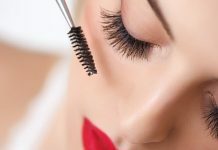 They are mainly rigid or semi-rigid. They may have a platform or plate to support the foot. Other terms for these insoles are “orthotics,” “arch supports,” and “orthotic insoles.” Their main purpose is to make sure that your feet stay in a natural shape even in motion throughout the day. 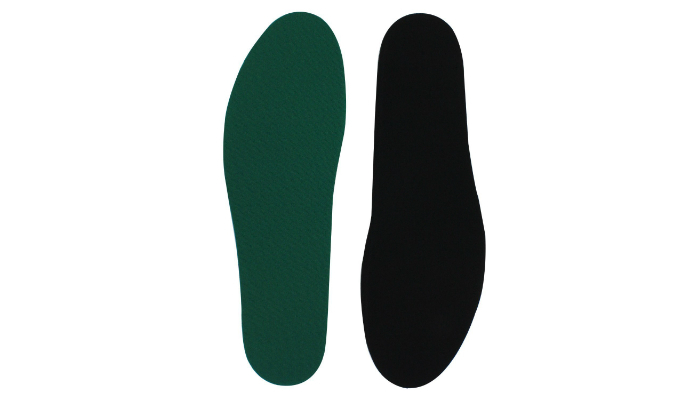 These insoles focus on two major sections of the foot: the heel and the arch. They aim to lessen ankle movement. Additionally, they relieve plantar fascia strain. The plantar fascia is the muscle along your foot’s sole starting from the heel to the forefoot. Lastly, orthotics prevent plantar fasciitis, arch pain, over-pronation, and over-supination. To be more specific about orthotics, the rigid type has an extremely stiff support platform. It is useful for people who want a more prominent arch support. However, it is not for beginners. What first-timers need is the semi-rigid type. Its support platform is more flexible. We selected Sofe Sole Athlete Full Length Comfort Neutral Arch Replacement Shoe Insoles/Inserts as the best insoles for most people. They follow the neutral arch type, have gel pads in the right sections for maximum shock absorption, control moisture to prevent odor, and are versatile for almost every type of footwear. Meanwhile, in choosing the best insoles for your own feet, just remember two crucial factors: material and footbed. 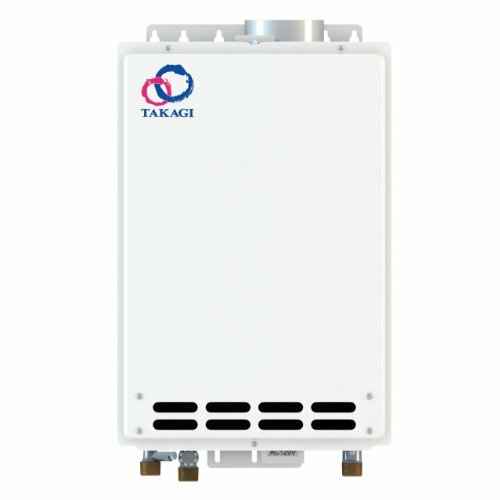 All options under these considerations have specific functions to meet special preferences. On the other hand, to maintain cleanliness and proper care for your footwear, check out our tips on how to wash gym shoes.